It just may be the perfect game show. 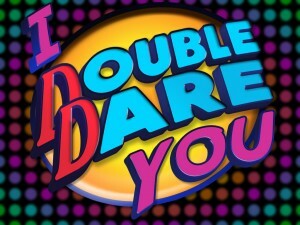 I Double Dare You is styled after the classic Nickelodeon game shows Double Dare and Family Double Dare. If you aren’t familiar with them, they combine a trivia show with physical challenges. Think of it like Jeopardy meets Minute To Win It meets Family Feud. This exciting and challenging game incorporates all the aspects of the world’s most popular games. That means that everyone on your team gets a moment to shine. Don’t worry. All of our physical challenges are clean and dry and appropriate for nearly any venue. 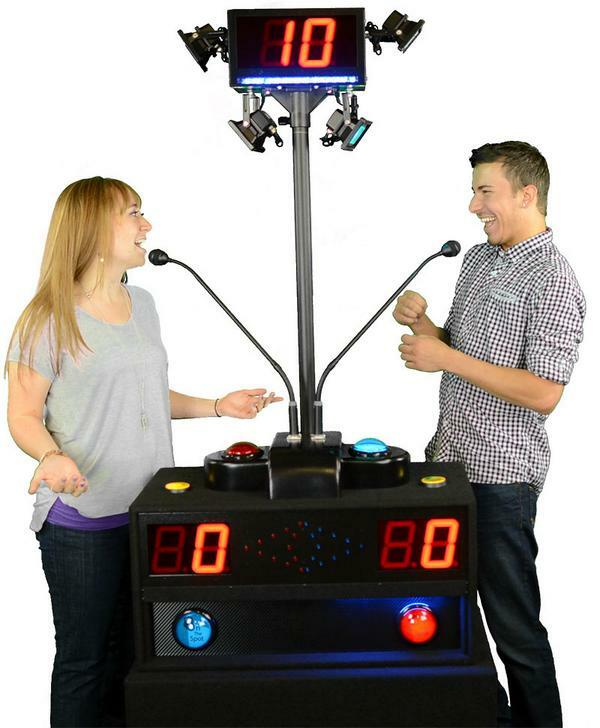 Contact us today to find out how our newest game show can help you build a team, break the ice, or educate a group. By partnering with our parent company, Kurt James Fun & Games, we can create a massive obstacle course full of challenges just for the winning team. Call Today to learn more. It’s your choice. We can limit questions to a specific topic like sports or movies, or we can keep it general. If you are looking to add an extra dimension, or want to use this game show to educate or train, we can substitute any and all questions with ones that you provide.